McMurtry College Senator Joyce Chen and Rice International Student Association President Chenlin Huang introduced the resolution. Out of the senate’s 27 voting members, only four members—the president, internal vice president, secretary and treasurer—are not sponsors of the resolution. Baker Senator Eli Mensing said student leaders need to ensure they are standing up for marginalized students even if they are unsure of the opinions of the student body. 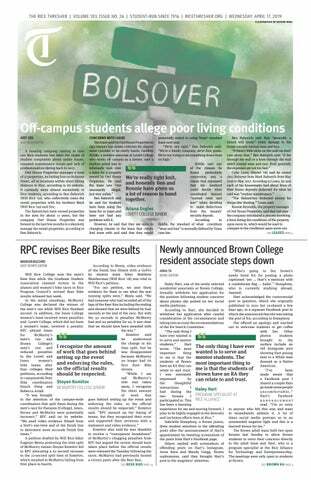 "Even if there's a majority of students on campus that do not support this, I think we have the moral impetus to stand up for international students who have faced so many additional struggles being a Rice student," Mensing, a junior, said. The resolution also calls for the Rice to create a fund designed to “substantially and continuously” support international undergraduate students faced with unanticipated financial need. According to the resolution, international students are only eligible for a one-time emergency grant of $500 from the OISS and a grant from the Dean of Undergraduates Emergency Fund, neither of which can be used for tuition. Chen said international students have no safety net if a parent becomes unemployed or there is currency fluctuation in their country that changes their ability to afford a Rice education..
At Cornell University, the Student Assembly is currently working to raise at least $500,000 for an endowment that provides aid to international students with “extenuating circumstances” who do not currently receive aid, according to an article by the Cornell Daily Sun. SA Internal Vice President Grace Wickerson said the plan was “multifold” and asked how it would translate into action. Chen said students would work with administration to make sure there is forward momentum if the resolution passes. Currently five universities in the United States—Harvard University, Yale University, Princeton University, Massachusetts Institute of Technology and Amherst College—offer need-blind admission to all international undergraduates and meet their full need, according to their financial aid websites. The resolution concludes with a call for the Rice Office of Financial Aid, President’s Office and Office of the Vice President for Enrollment to work with the SA and RISA and outline a written plan to expand international student financial aid by the end of the 2018-19 academic year.